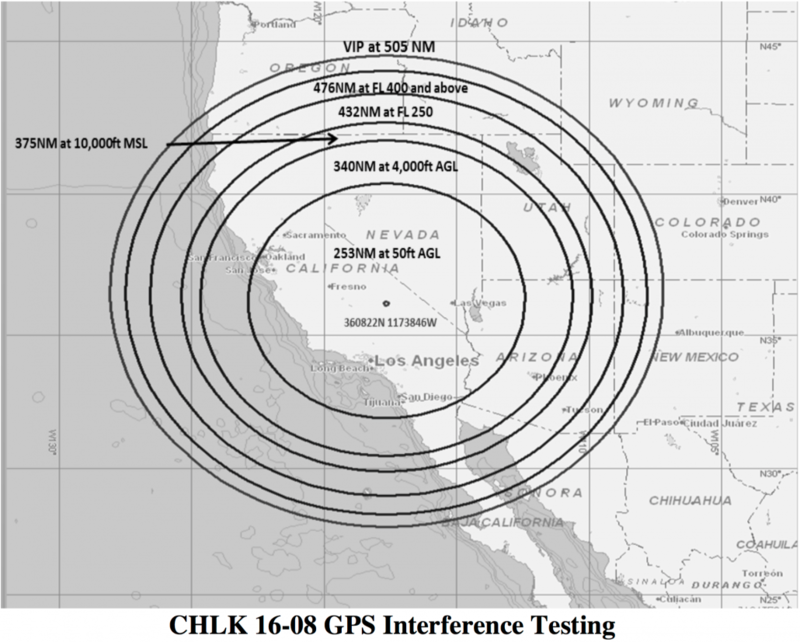 The FAA are conducting GPS interference testing entered on South California during June. If you are flying in the area please be aware of the FAA NOTAM and the possibility of erroneous indications from onboard GPS systems. The coverage area can reach 450NM at altitude so this covers quite a bit of airspace.